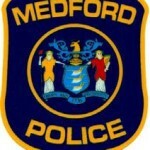 On June 18 at 9:21 p.m., Medford Township Police, Fire, and EMS units, along with Virtua Paramedics responded to Branin Road north of Stokes Road for a bicyclist that was struck by a vehicle. Investigation determined that the driver was operating a 2006 Volkswagon Passat north on Branin Road when he struck a 15 year old male juvenile riding a bicycle in the northbound travel lane. The juvenile sustained a head injury and was transported to Cooper Trauma for evaluation by Medford Township EMS and Virtua Paramedics. Investigation is ongoing by the Medford Township Police Traffic Safety Bureau.